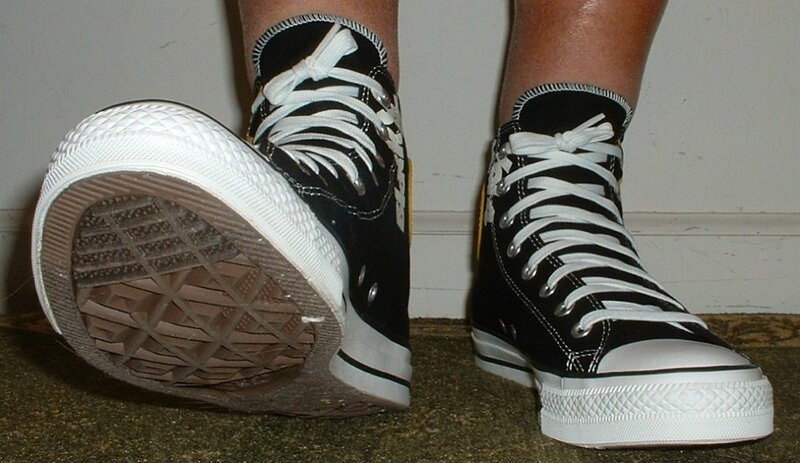 Photo gallery of high top chucks issued as a tribute to the band Black Sabbath. 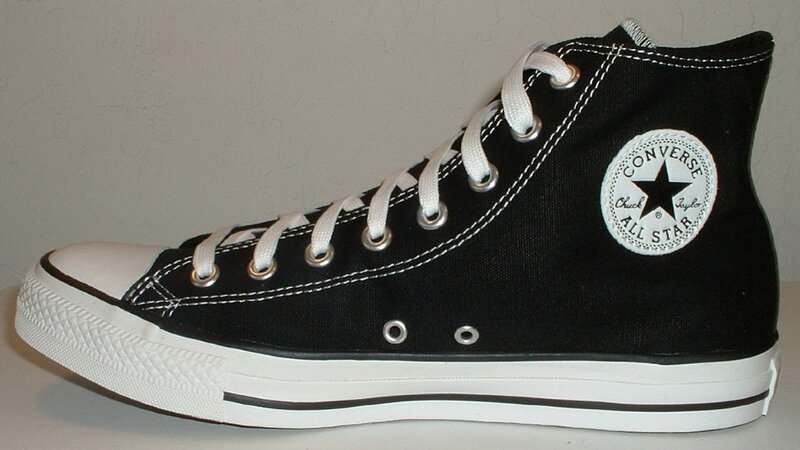 1 Black Sabbath High Top Chucks Inside patch view of a right black and white Black Sabbath high top. 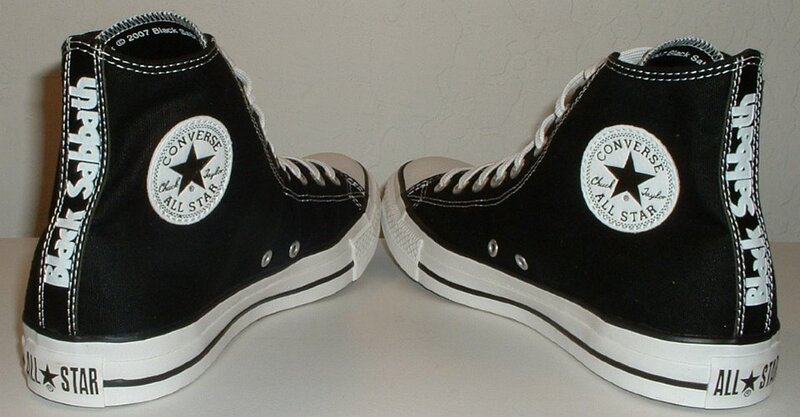 2 Black Sabbath High Top Chucks Outside view of a right black and white Black Sabbath high top. 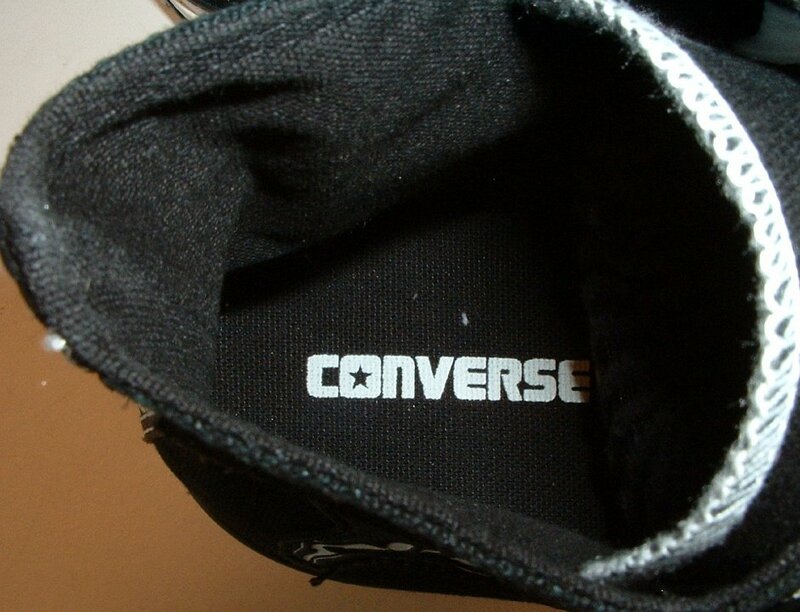 3 Black Sabbath High Top Chucks Inside patch view of a left black and white Black Sabbath high top. 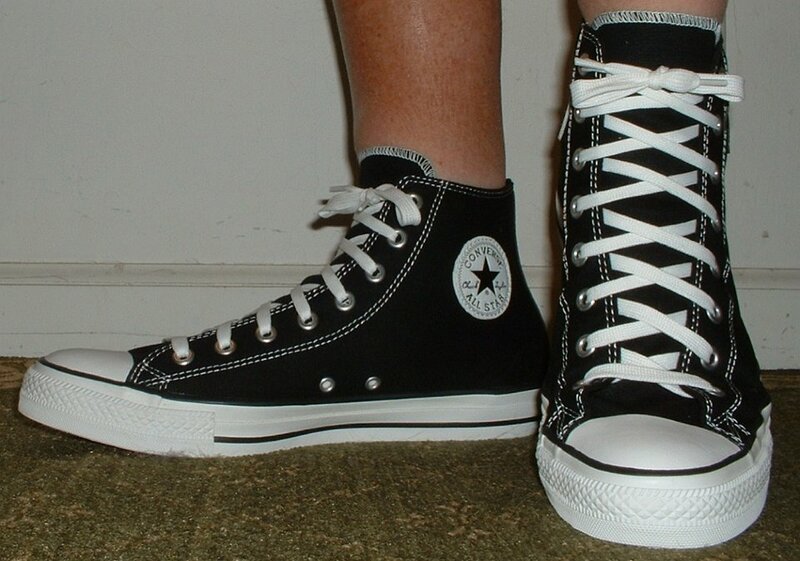 4 Black Sabbath High Top Chucks Outside view of a left black and white Black Sabbath high top. 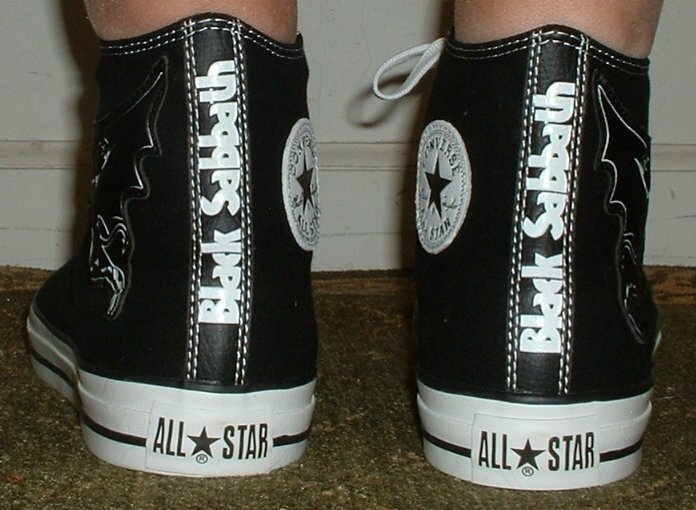 5 Black Sabbath High Top Chucks Rear view of black and white Black Sabbath high tops. 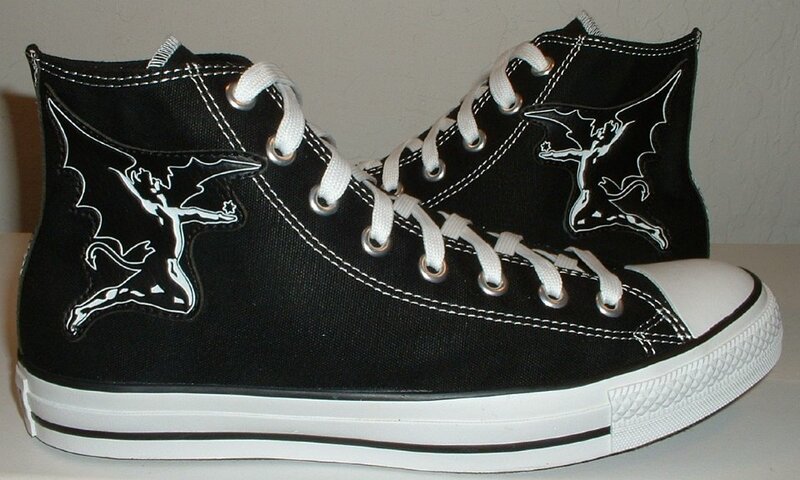 6 Black Sabbath High Top Chucks Angled rear view of black and white Black Sabbath high tops. 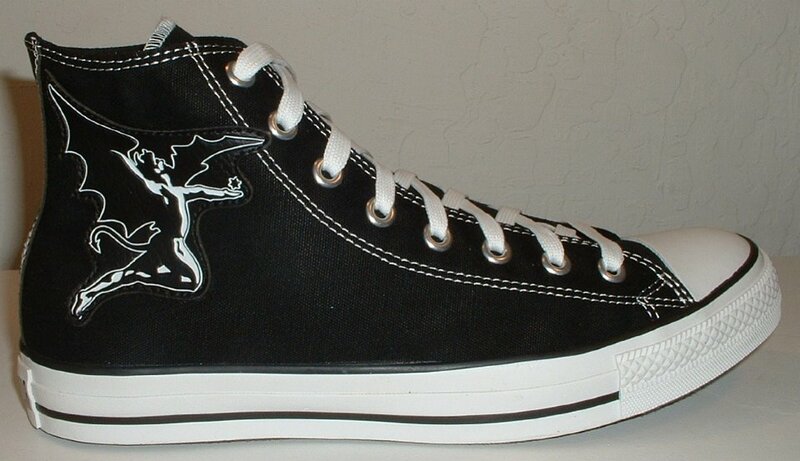 7 Black Sabbath High Top Chucks Angled side view of black and white Black Sabbath high tops. 8 Black Sabbath High Top Chucks Front view of black and white Black Sabbath high tops. 9 Black Sabbath High Top Chucks Angled front view of black and white Black Sabbath high tops. 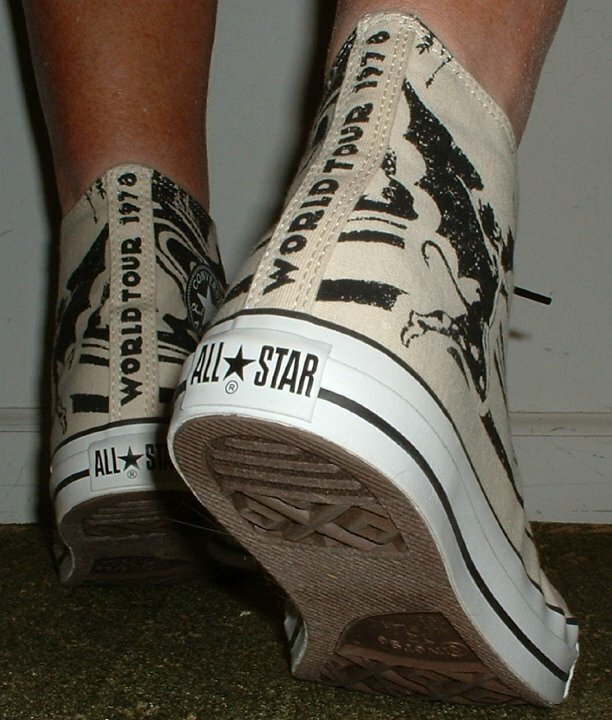 10 Black Sabbath High Top Chucks Top view of black and white Black Sabbath high tops. 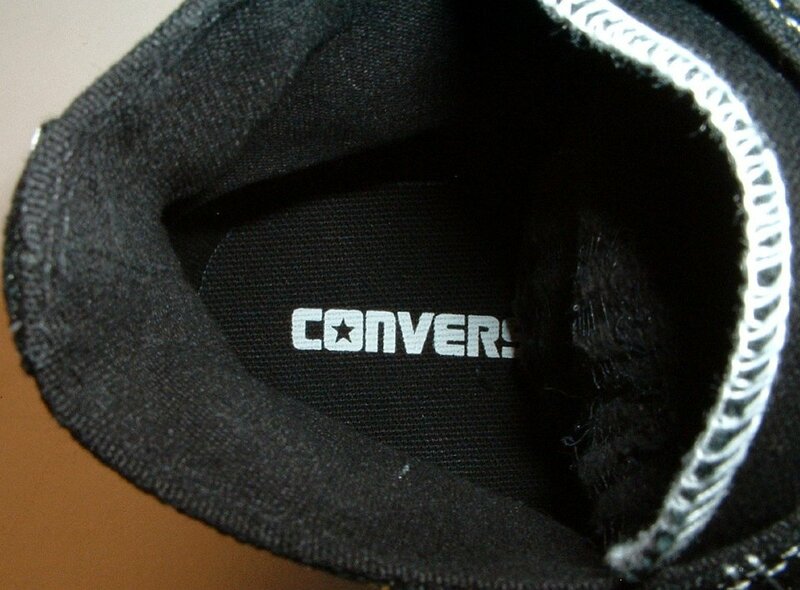 11 Black Sabbath High Top Chucks Insole view of black and white Black Sabbath high tops. 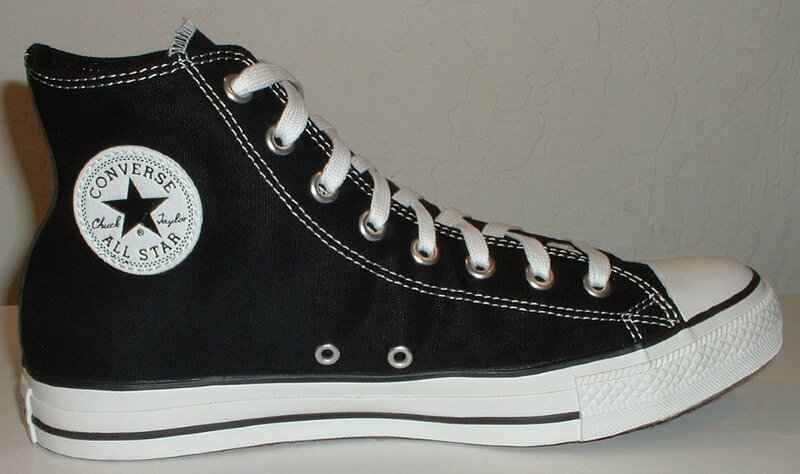 12 Black Sabbath High Top Chucks Inside patch views of black and white Black Sabbath high tops. 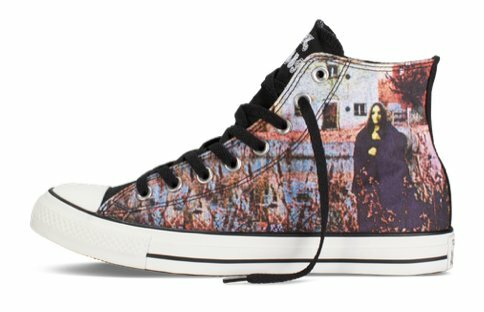 13 Black Sabbath High Top Chucks Outside views of black and white Black Sabbath high tops. 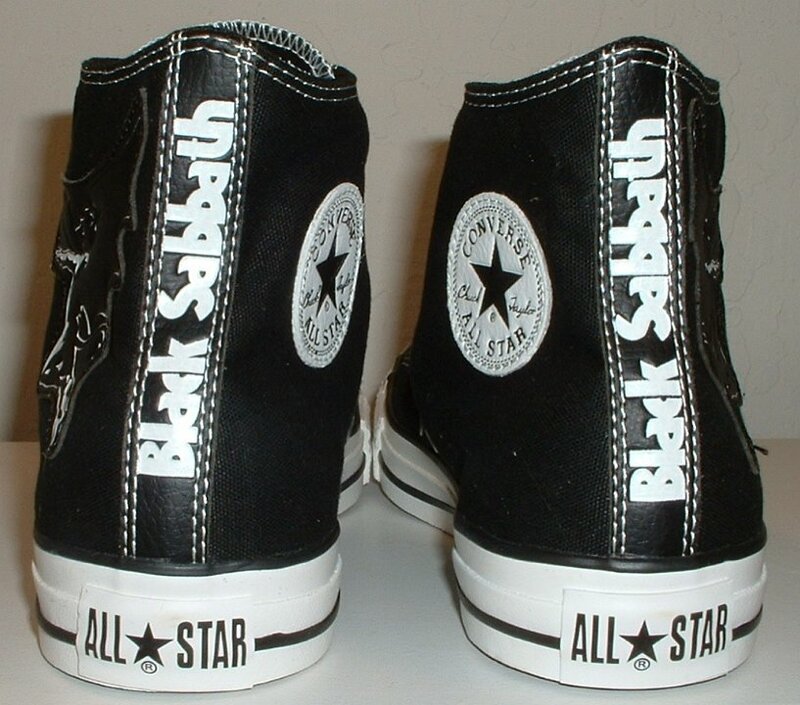 14 Black Sabbath High Top Chucks Inside patch and sole views of black and white Black Sabbath high tops. 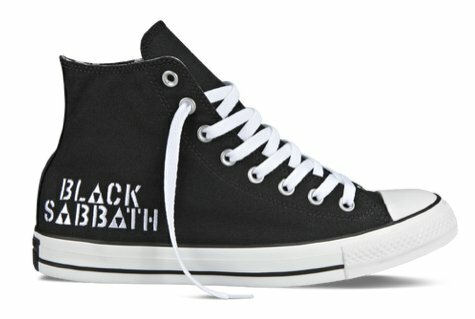 15 Black Sabbath High Top Chucks Outside and sole views of black and white Black Sabbath high tops. 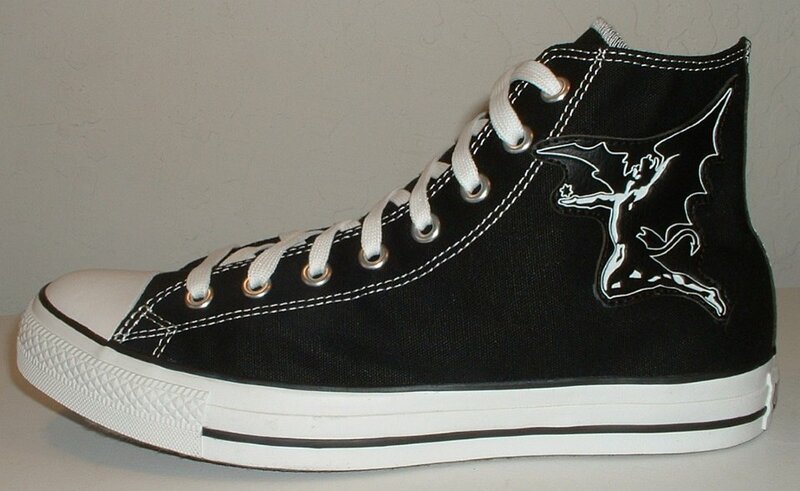 16 Black Sabbath High Top Chucks Wearing black and white Black Sabbath high tops, front view 1. 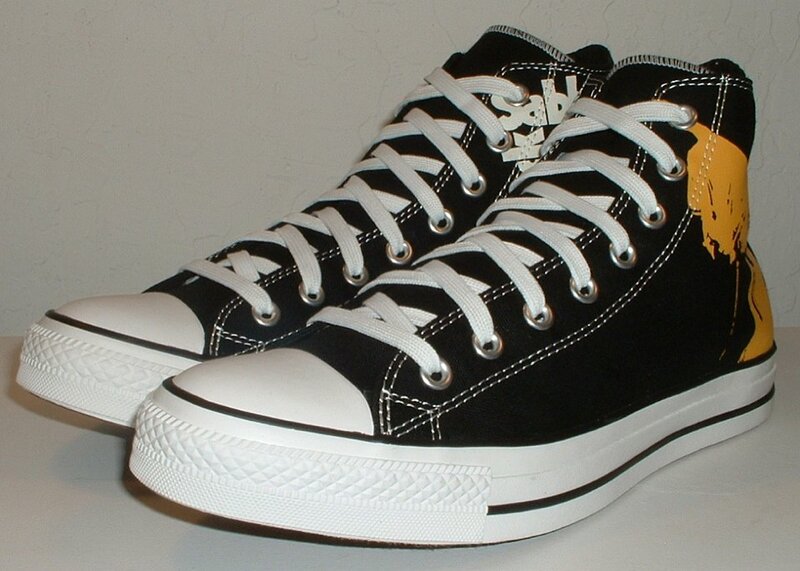 17 Black Sabbath High Top Chucks Wearing black and white Black Sabbath high tops, front view 2. 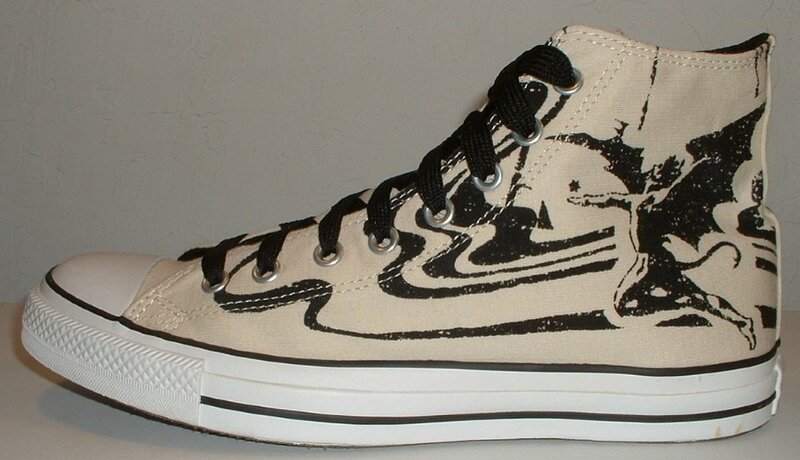 18 Black Sabbath High Top Chucks Wearing black and white Black Sabbath high tops, front view 3. 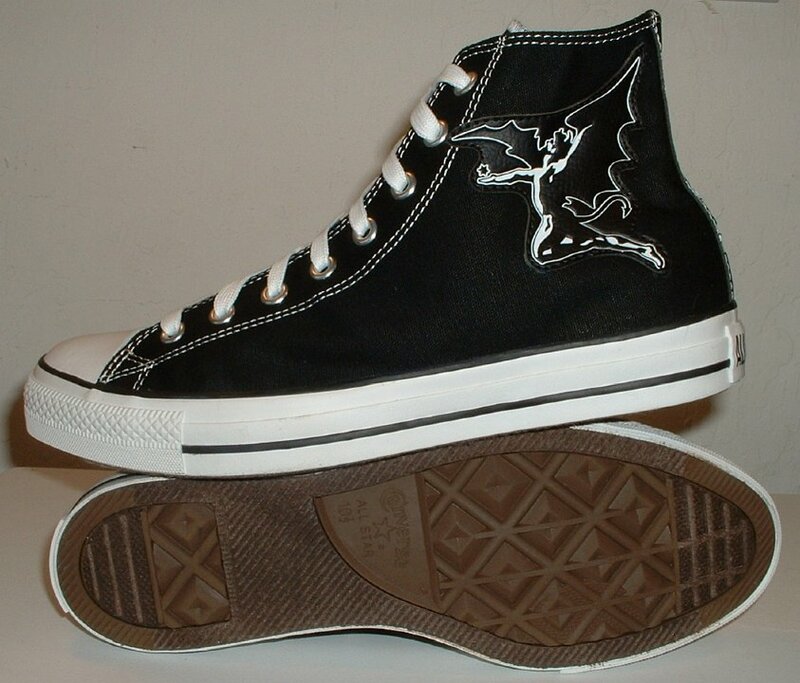 19 Black Sabbath High Top Chucks Wearing black and white Black Sabbath high tops, left side view 1. 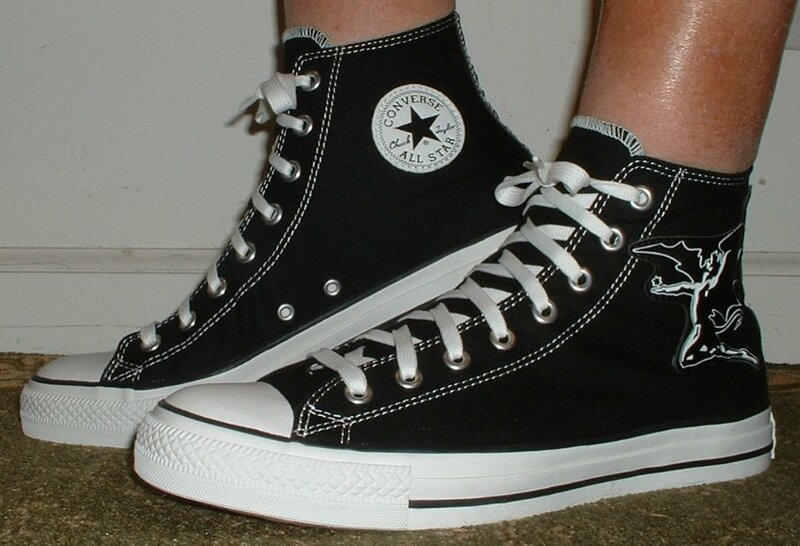 20 Black Sabbath High Top Chucks Wearing black and white Black Sabbath high tops, left side view 2. 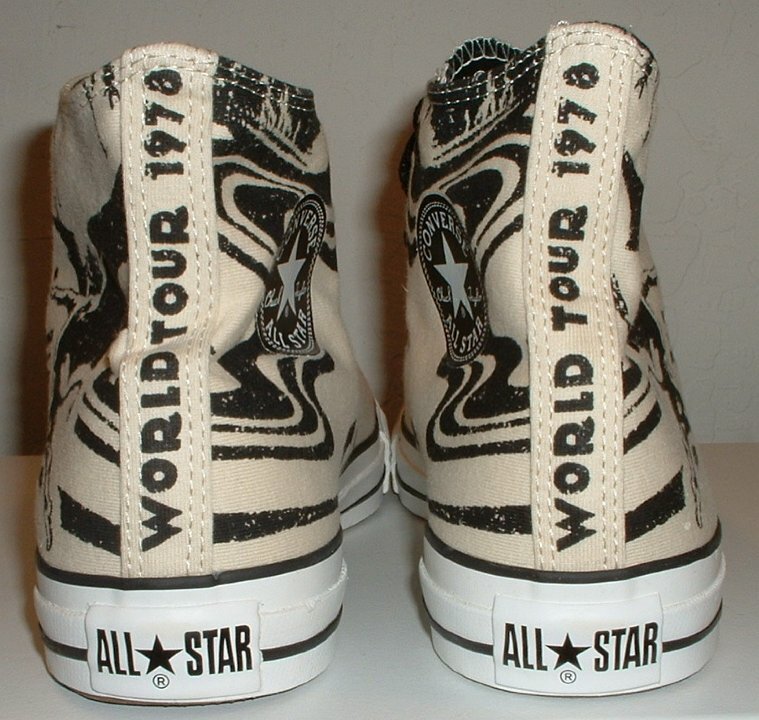 21 Black Sabbath High Top Chucks Wearing black and white Black Sabbath high tops, rear view 1. 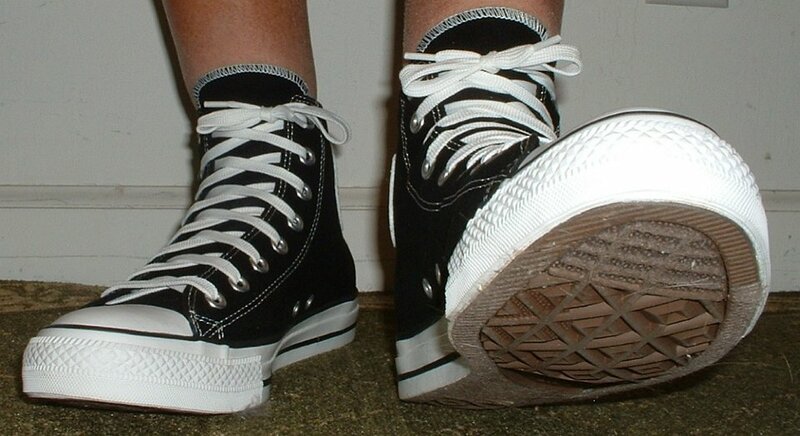 22 Black Sabbath High Top Chucks Wearing black and white Black Sabbath high tops, rear view 2. 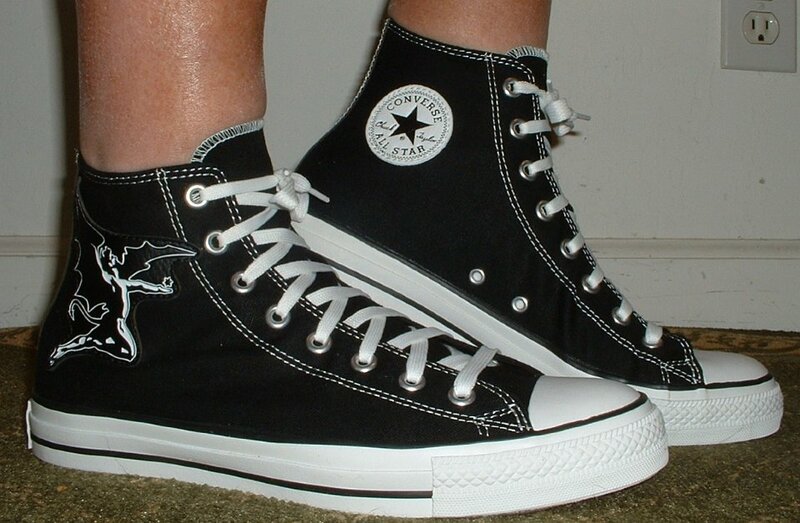 23 Black Sabbath High Top Chucks Wearing black and white Black Sabbath high tops, rear view 3. 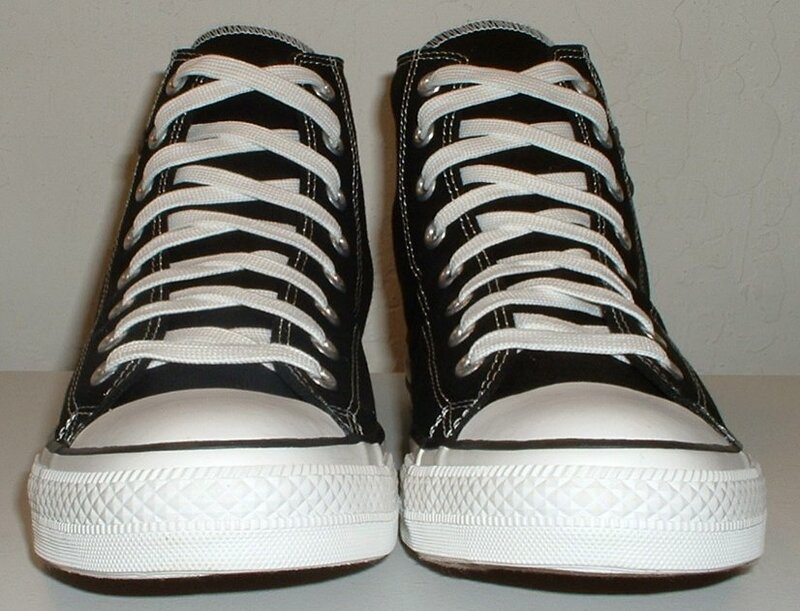 24 Black Sabbath High Top Chucks Wearing black and white Black Sabbath high tops, right side view 1. 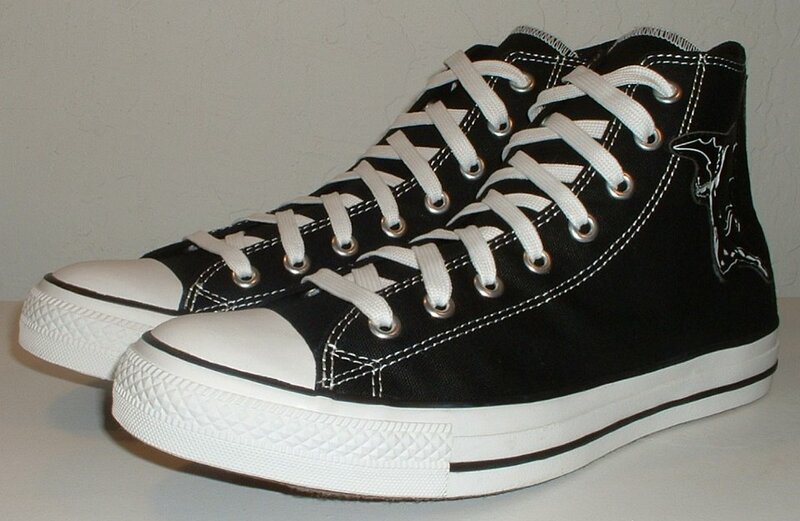 25 Black Sabbath High Top Chucks Wearing black and white Black Sabbath high tops, right side view 2. 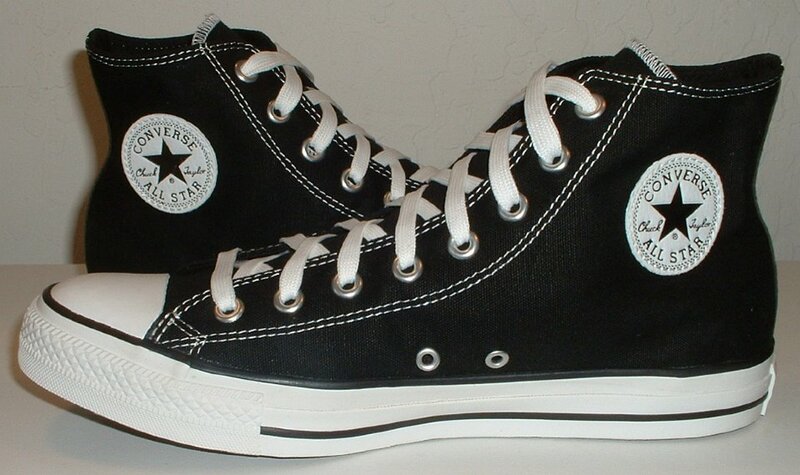 26 Black Sabbath High Top Chucks Outside view of a right 2014 black and white Black Sabbath high top. 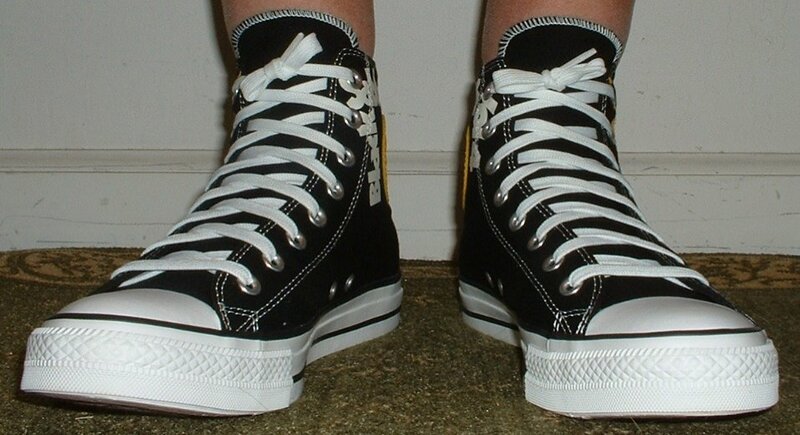 27 Black Sabbath High Top Chucks Outside view of a left 2014 black and white Black Sabbath high top. 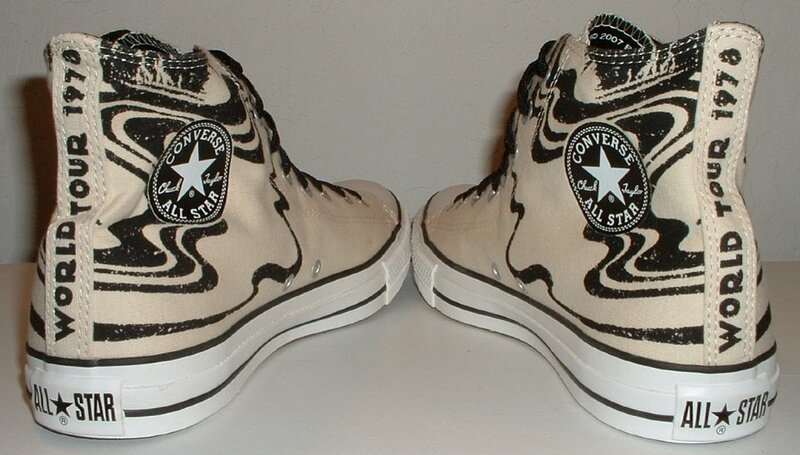 28 Black Sabbath High Top Chucks Front view of a 2014 black and white Black Sabbath high top. 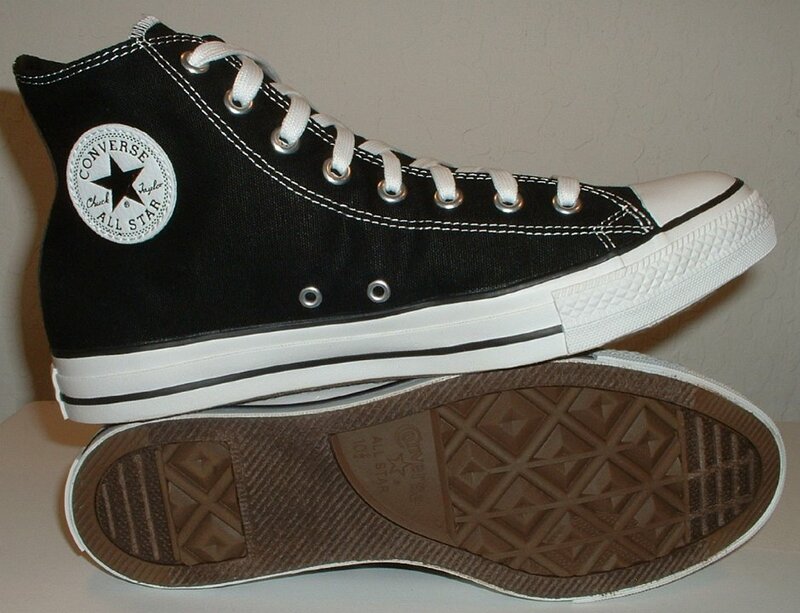 29 Black Sabbath High Top Chucks Rear view of a left 2014 black and white Black Sabbath high top. 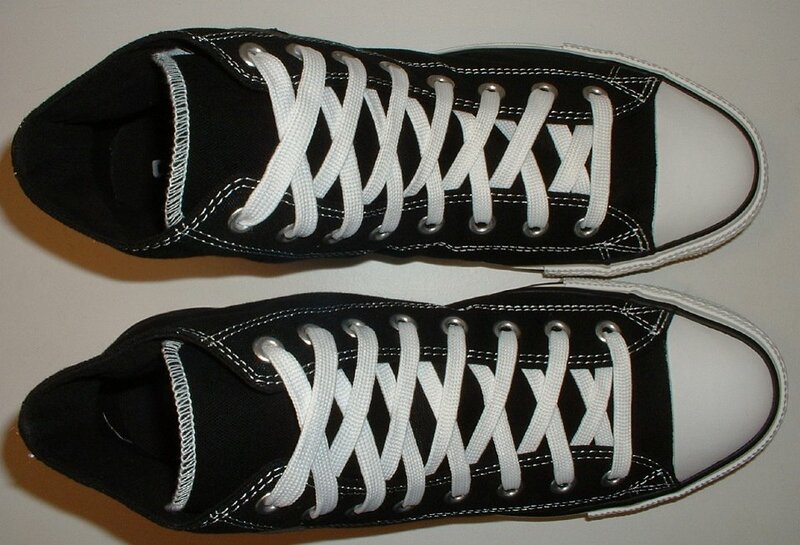 30 Black Sabbath High Top Chucks Top view of a left 2014 black and white Black Sabbath high top. 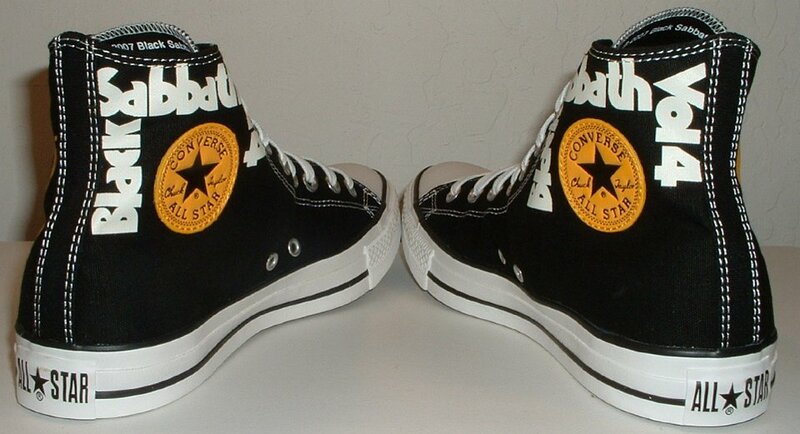 31 Black Sabbath High Top Chucks Inside patch view of a right gold, black and white Black Sabbath high top. 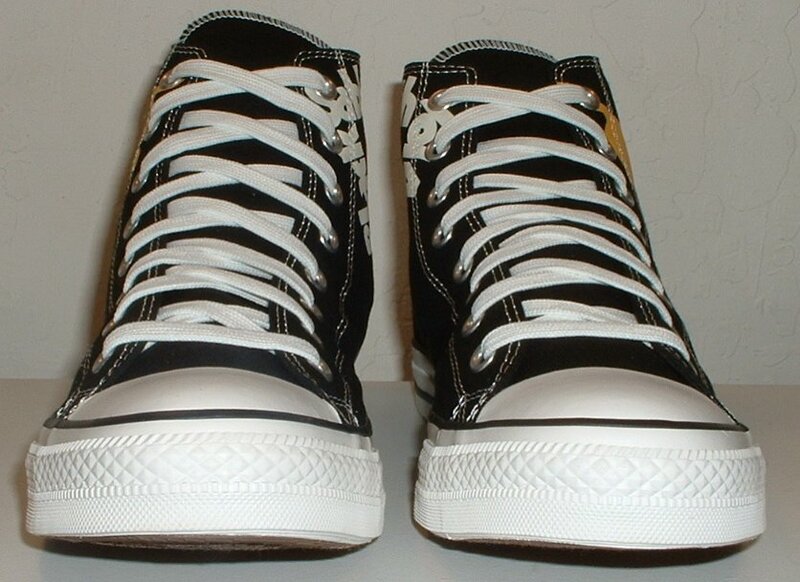 32 Black Sabbath High Top Chucks Outside view of a right gold, black and white Black Sabbath high top. 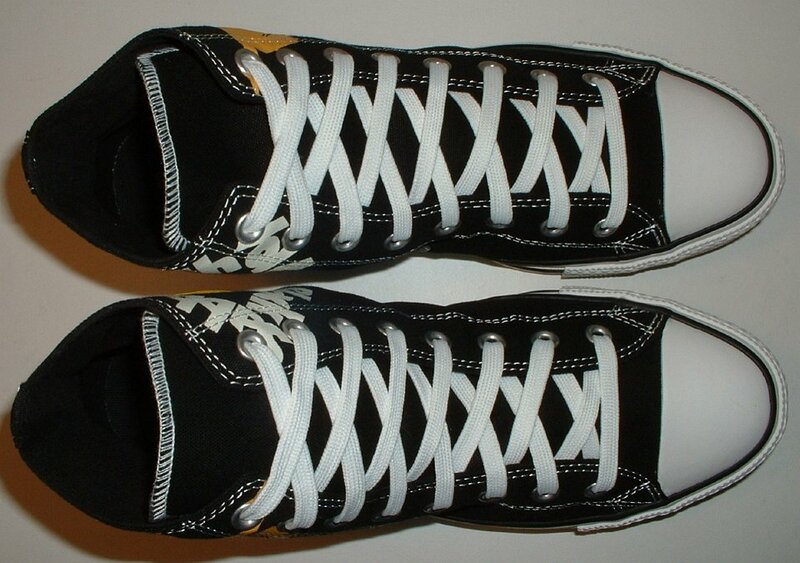 33 Black Sabbath High Top Chucks Inside patch view of a left gold, black and white Black Sabbath high top. 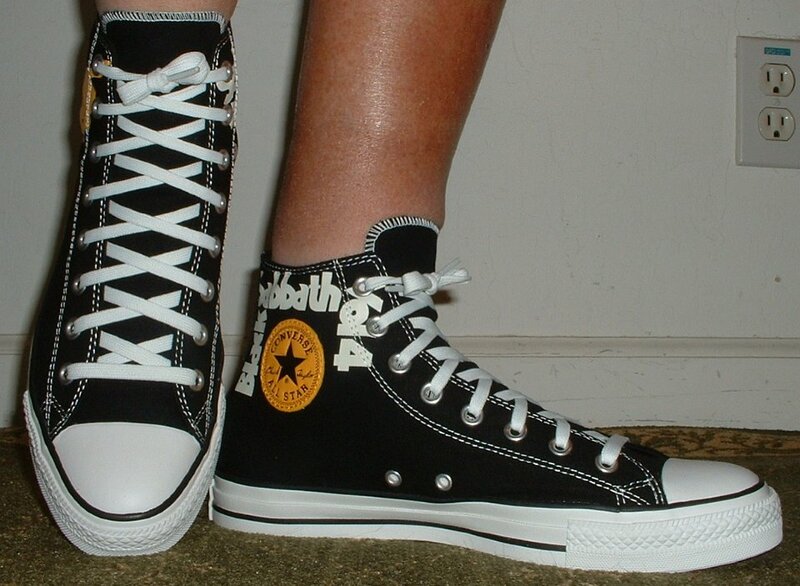 34 Black Sabbath High Top Chucks Outside view of a left gold, black and white Black Sabbath high top. 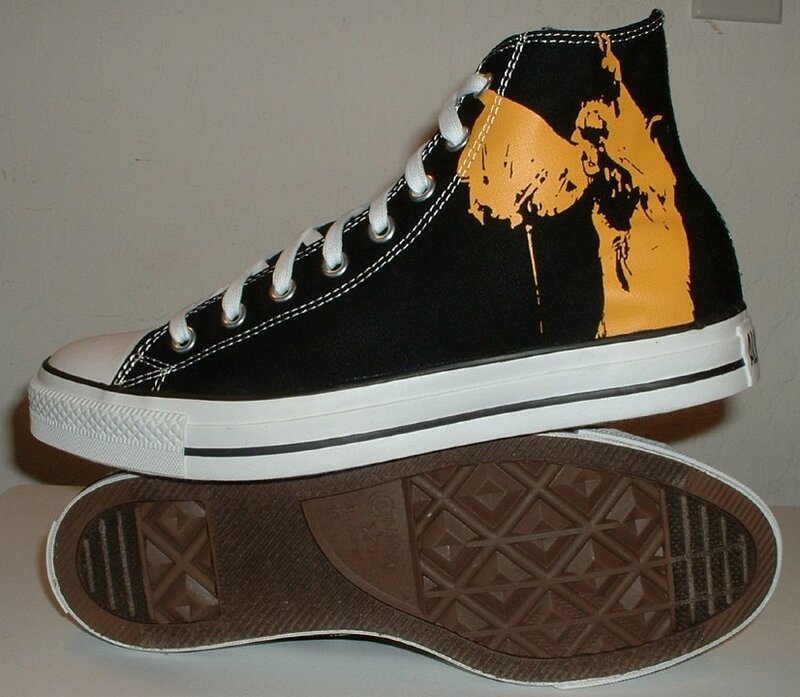 35 Black Sabbath High Top Chucks Rear view of gold, black and white Black Sabbath high tops. 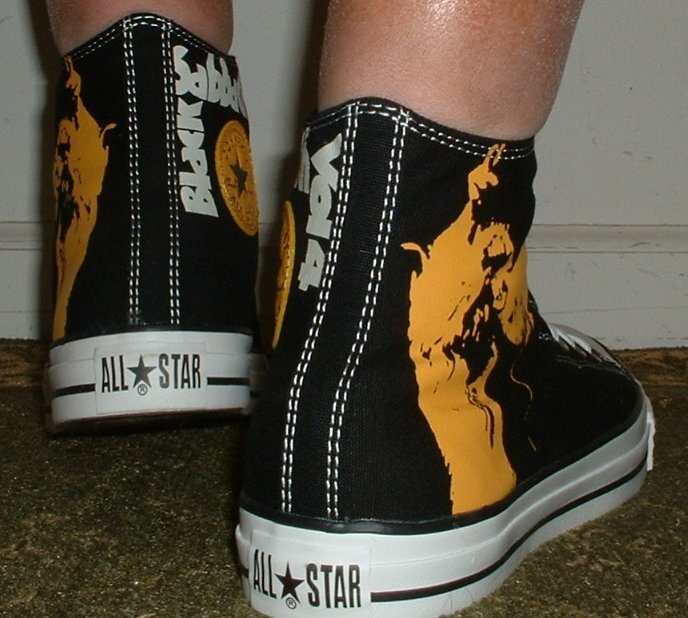 36 Black Sabbath High Top Chucks Angled rear view of gold, black and white Black Sabbath high tops. 37 Black Sabbath High Top Chucks Angled side view of gold, black and white Black Sabbath high tops. 38 Black Sabbath High Top Chucks Front view of gold, black and white Black Sabbath high tops. 39 Black Sabbath High Top Chucks Angled front view of gold, black and white Black Sabbath high tops. 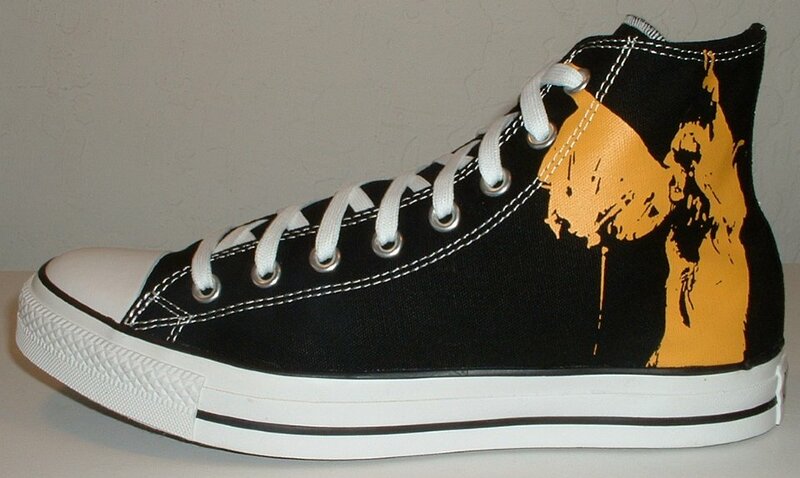 40 Black Sabbath High Top Chucks Top view of gold, black and white Black Sabbath high tops. 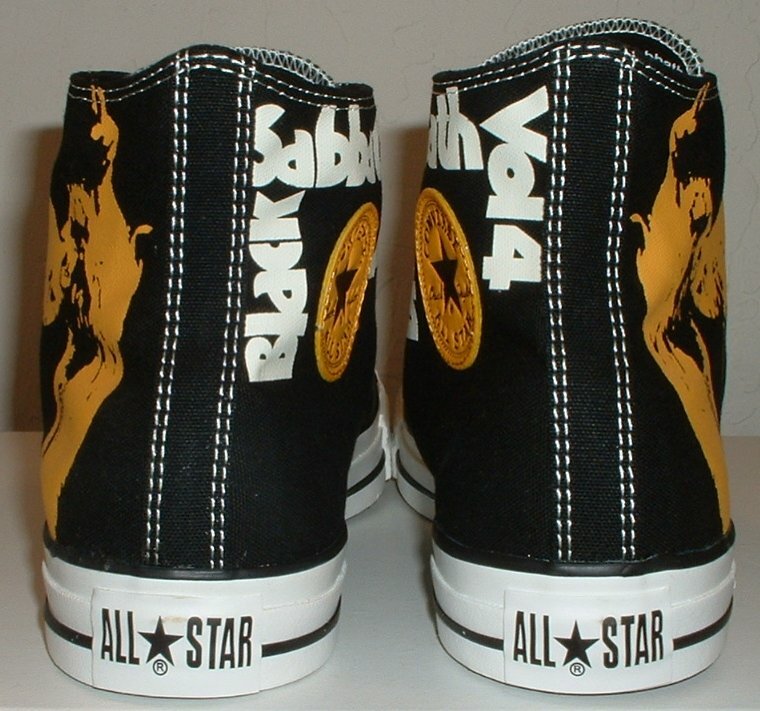 41 Black Sabbath High Top Chucks Insole view of gold, black and white Black Sabbath high tops. 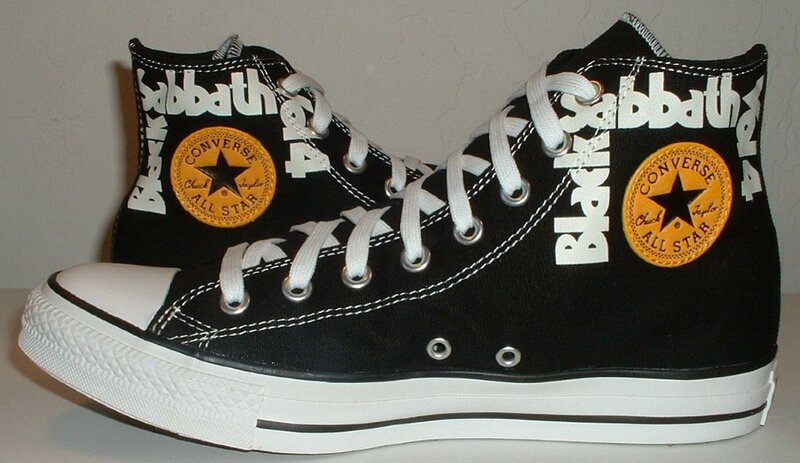 42 Black Sabbath High Top Chucks Inside patch views of gold, black and white Black Sabbath high tops. 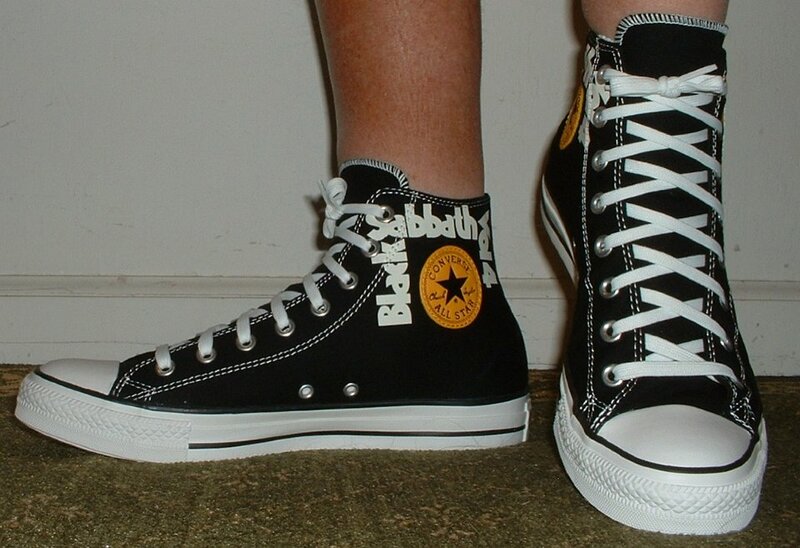 43 Black Sabbath High Top Chucks Outside views of gold, black and white Black Sabbath high tops. 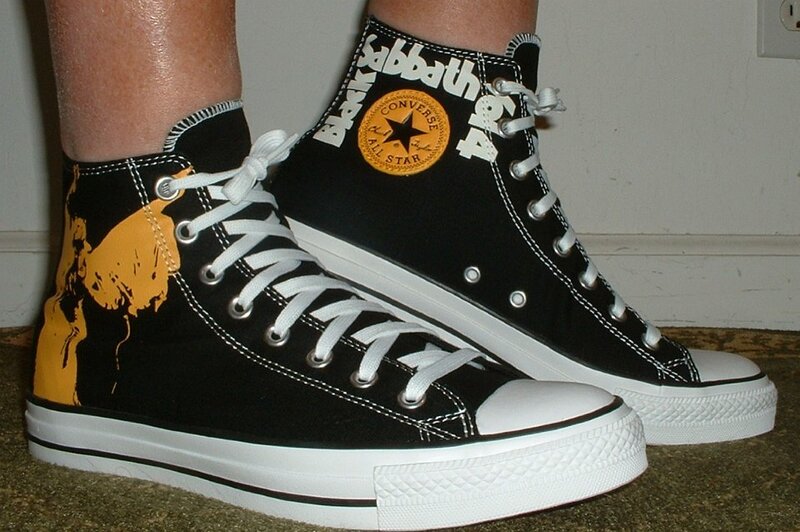 44 Black Sabbath High Top Chucks Outside and sole views of gold, black and white Black Sabbath high tops. 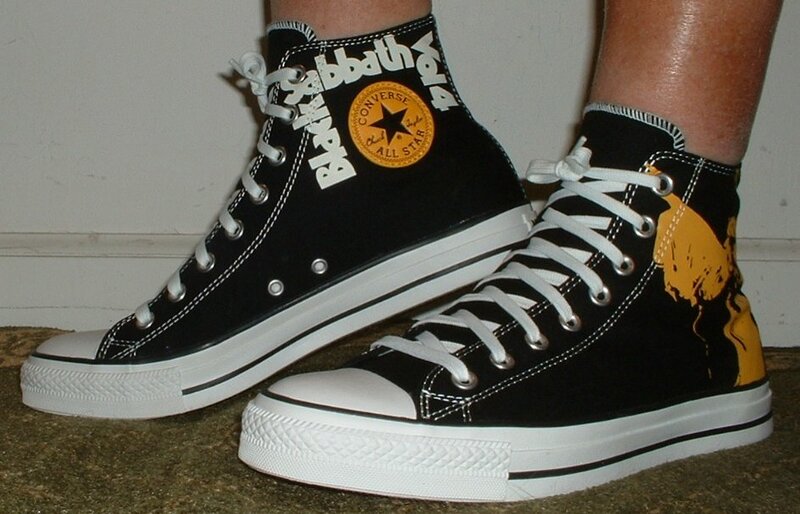 45 Black Sabbath High Top Chucks Inside patch and sole views of gold, black and white Black Sabbath high tops. 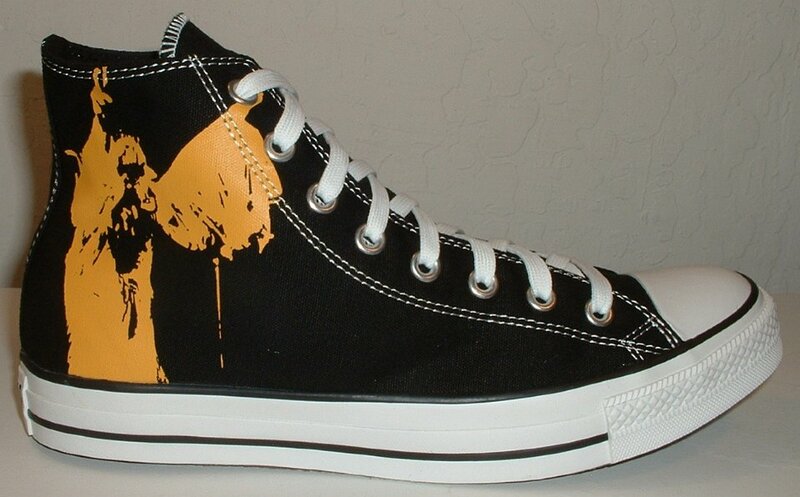 46 Black Sabbath High Top Chucks Wearing gold, black and white Black Sabbath high tops, front view 1. 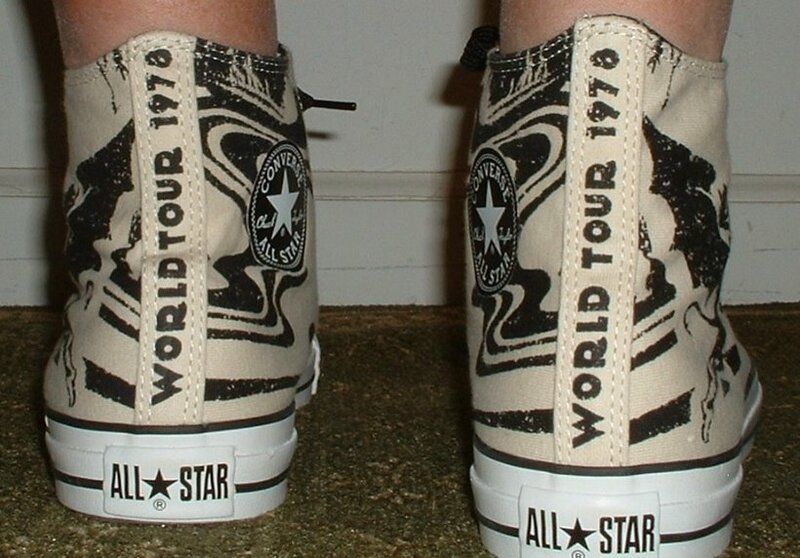 47 Black Sabbath High Top Chucks Wearing gold, black and white Black Sabbath high tops, front view 2. 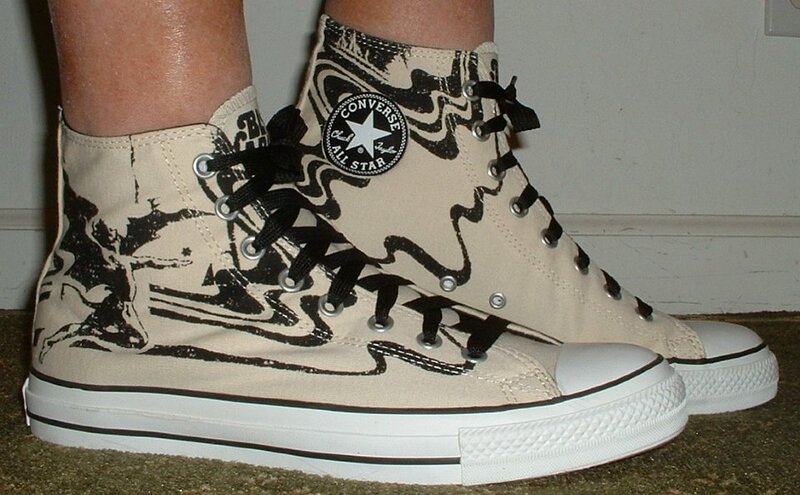 48 Black Sabbath High Top Chucks Wearing gold, black and white Black Sabbath high tops, front view 3. 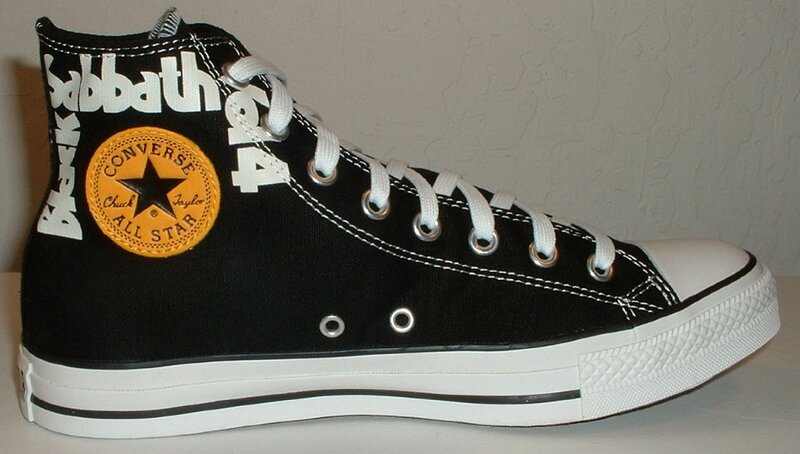 49 Black Sabbath High Top Chucks Wearing gold, black and white Black Sabbath high tops, left side view 1. 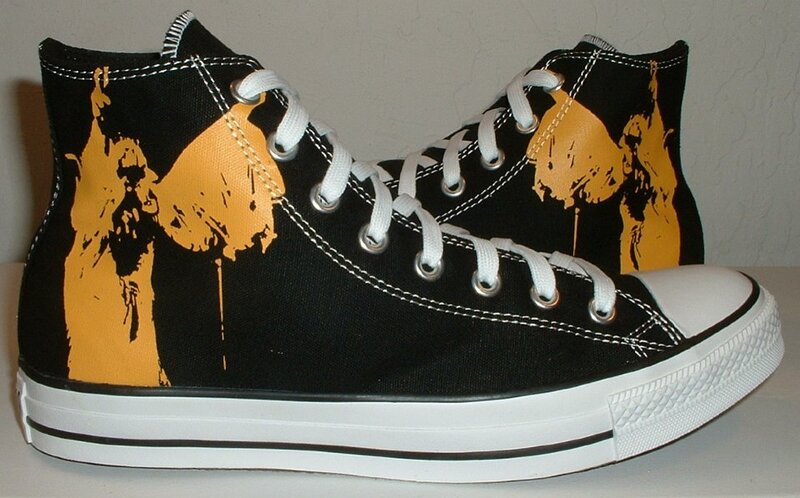 50 Black Sabbath High Top Chucks Wearing gold, black and white Black Sabbath high tops, left side view 2. 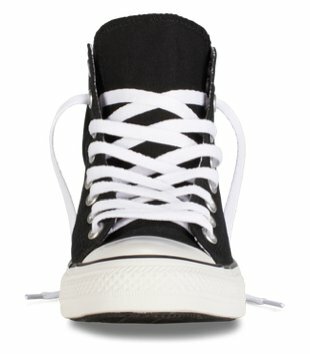 51 Black Sabbath High Top Chucks Wearing gold, black and white Black Sabbath high tops, rear view 1. 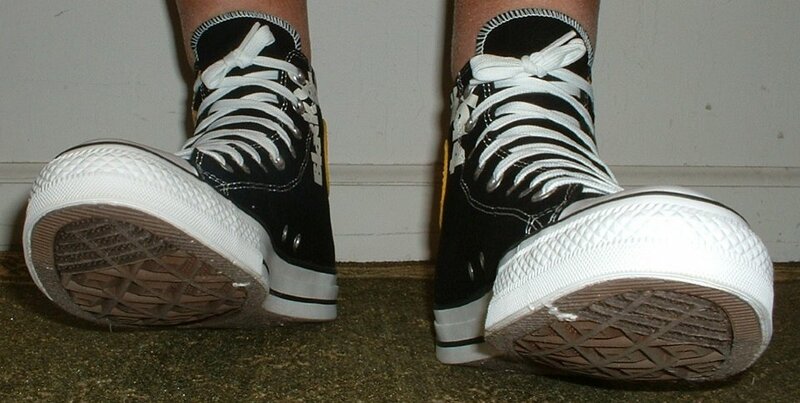 52 Black Sabbath High Top Chucks Wearing gold, black and white Black Sabbath high tops, rear view 2. 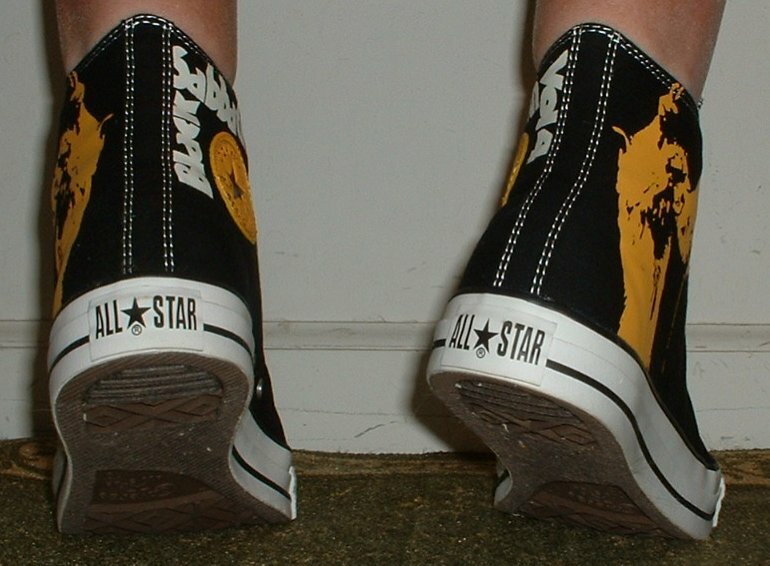 53 Black Sabbath High Top Chucks Wearing gold, black and white Black Sabbath high tops, rear view 3. 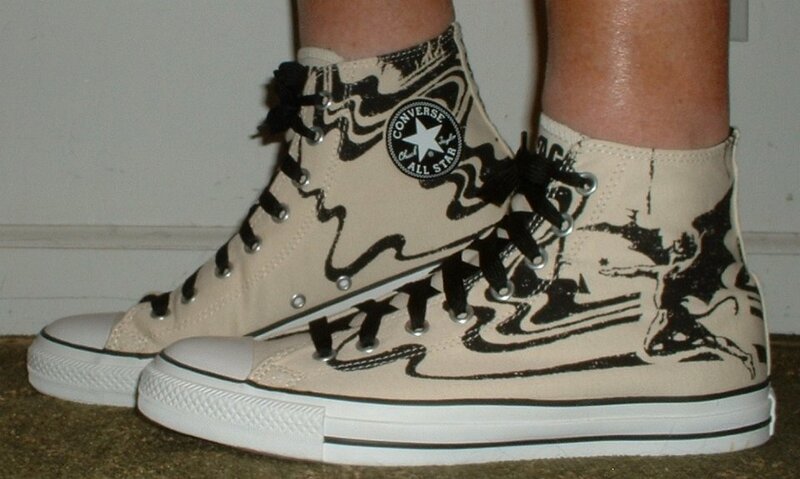 54 Black Sabbath High Top Chucks Wearing gold, black and white Black Sabbath high tops, right side view 1. 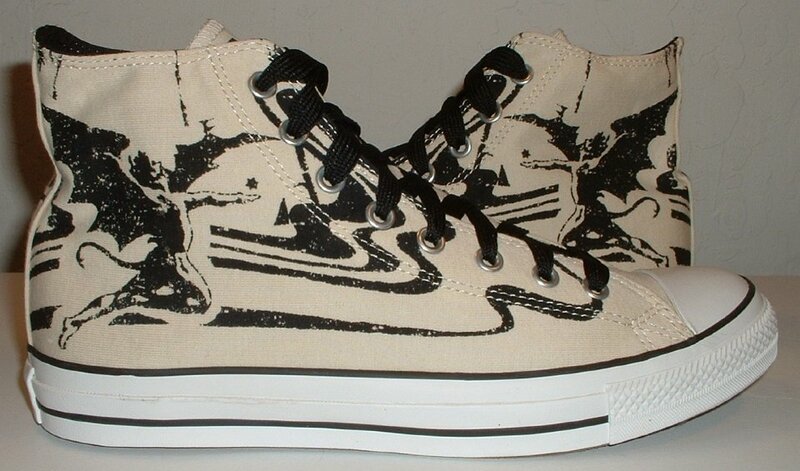 55 Black Sabbath High Top Chucks Wearing gold, black and white Black Sabbath high tops, right side view 2. 56 Black Sabbath High Top Chucks Inside patch view of a multi-colored print Black Sabbath high top. 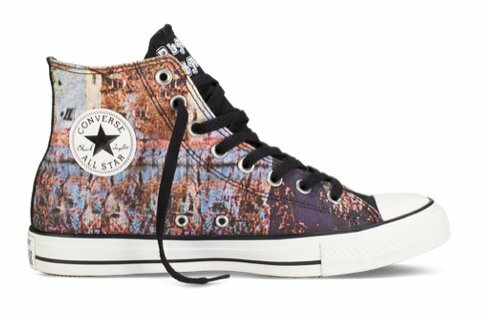 57 Black Sabbath High Top Chucks Outside view of a multi-colored print Black Sabbath high top. 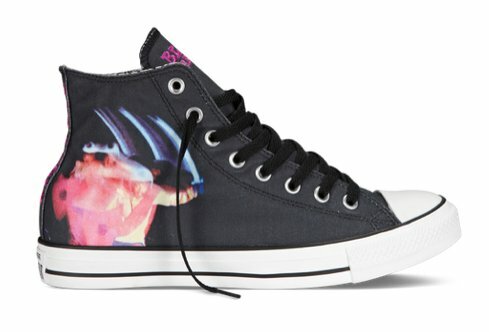 58 Black Sabbath High Top Chucks Front view of a multi-colored print Black Sabbath high top. 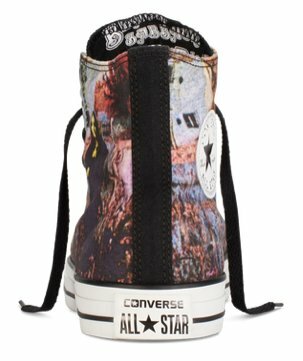 59 Black Sabbath High Top Chucks Rear view of a multi-colored print Black Sabbath high top. 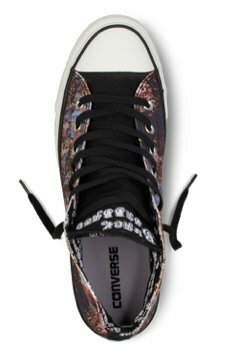 60 Black Sabbath High Top Chucks Top view of a multi-colored print Black Sabbath high top. 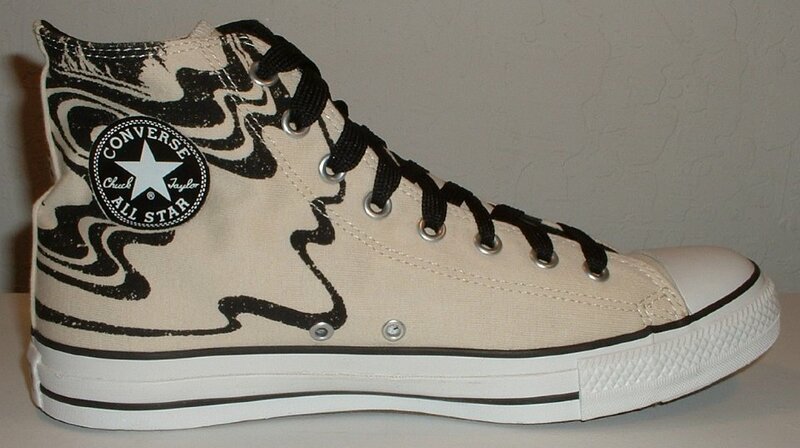 61 Black Sabbath High Top Chucks Outside view of a right paranoid print Black Sabbath high top. 62 Black Sabbath High Top Chucks Inside patch view of a right paranoid print Black Sabbath high top. 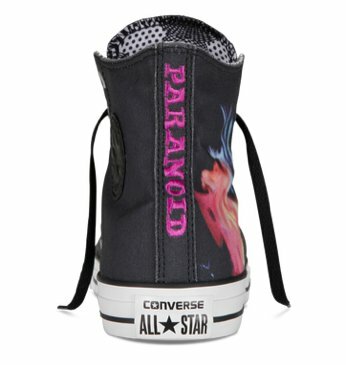 63 Black Sabbath High Top Chucks Rear view of a right paranoid print Black Sabbath high top. 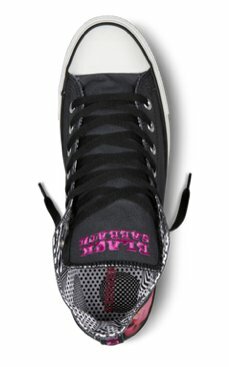 64 Black Sabbath High Top Chucks Front view of a right paranoid print Black Sabbath high top. 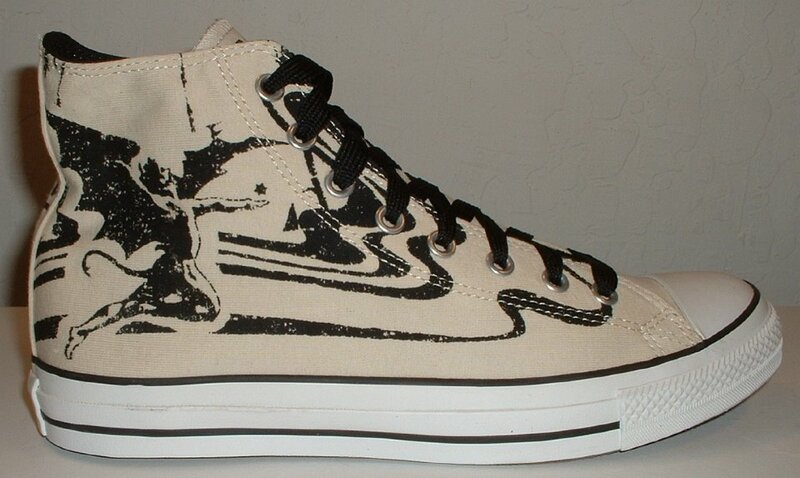 65 Black Sabbath High Top Chucks Top view of a right paranoid print Black Sabbath high top. 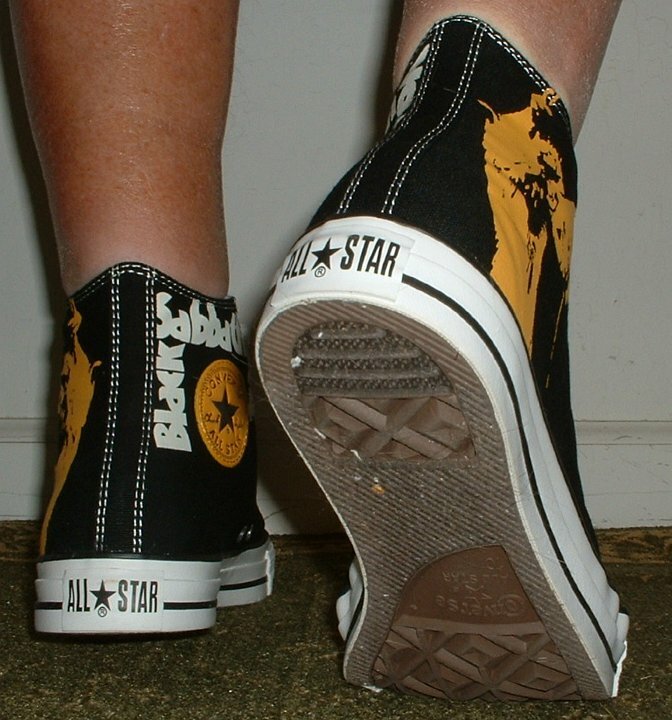 66 Black Sabbath High Top Chucks Inside patch view of a right tan and black print Black Sabbath high top with black retro shoelaces. 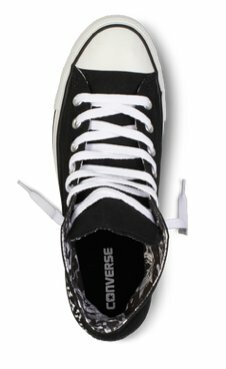 67 Black Sabbath High Top Chucks Outside view of a right tan and black print Black Sabbath high top with black retro shoelaces. 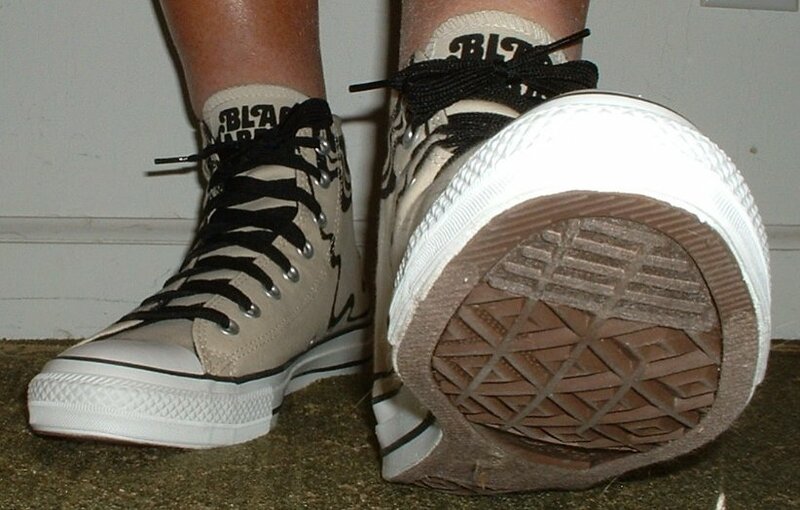 68 Black Sabbath High Top Chucks Inside patch view of a left tan and black print Black Sabbath high top with black retro shoelaces. 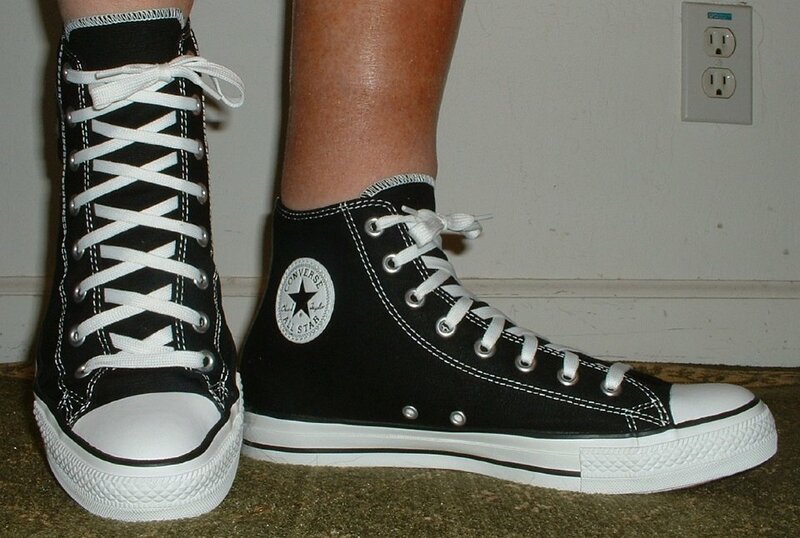 69 Black Sabbath High Top Chucks Outside view of a left tan and black print Black Sabbath high top with black retro shoelaces. 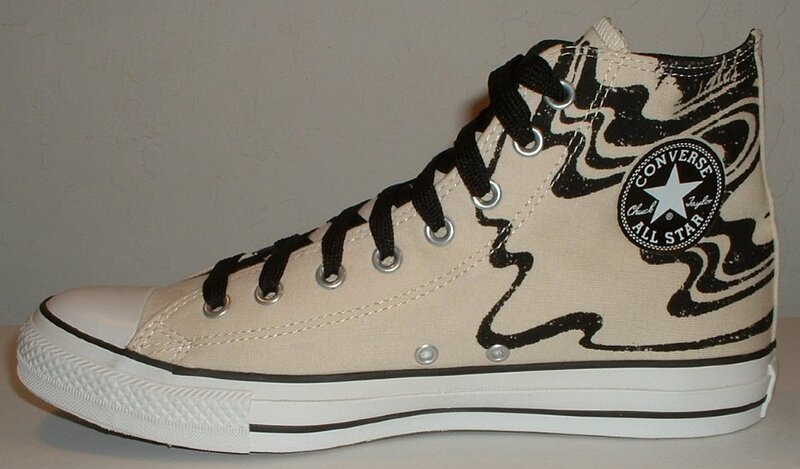 70 Black Sabbath High Top Chucks Rear view of tan and black print Black Sabbath high tops with black retro shoelaces. 71 Black Sabbath High Top Chucks Angled rear view of tan and black print Black Sabbath high tops with black retro shoelaces. 72 Black Sabbath High Top Chucks Angled side view of tan and black print Black Sabbath high tops with black retro shoelaces. 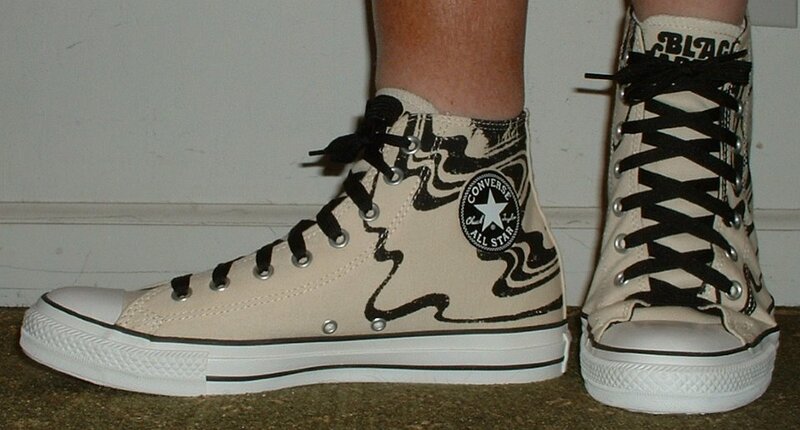 73 Black Sabbath High Top Chucks Front view of tan and black print Black Sabbath high tops with black retro shoelaces. 74 Black Sabbath High Top Chucks Angled front view of tan and black print Black Sabbath high tops with black retro shoelaces. 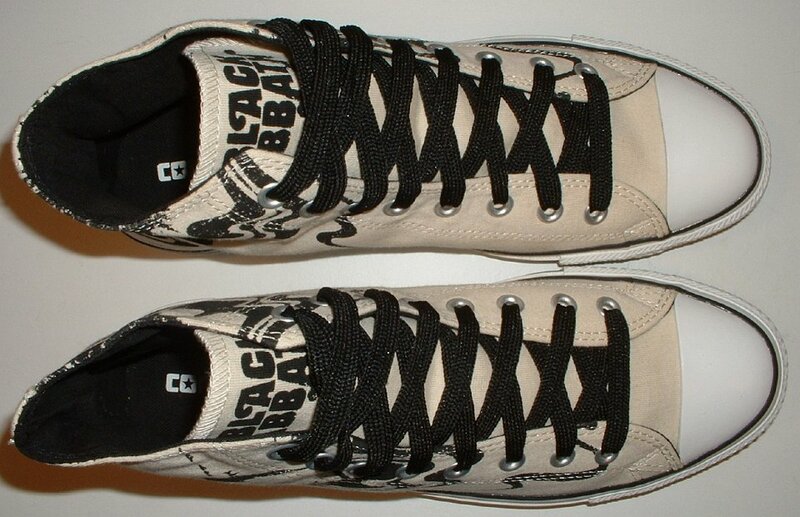 75 Black Sabbath High Top Chucks Top view of tan and black print Black Sabbath high tops with black retro shoelaces. 76 Black Sabbath High Top Chucks Insole closeup of a tan and black print Black Sabbath high top. 77 Black Sabbath High Top Chucks Inside patch views of tan and black print Black Sabbath high tops with black retro shoelaces. 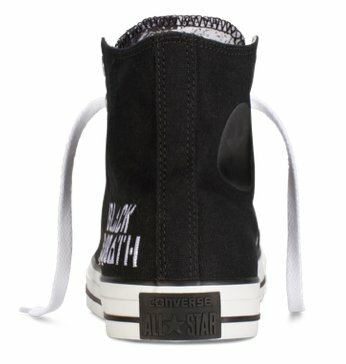 78 Black Sabbath High Top Chucks Outside views of tan and black print Black Sabbath high tops with black retro shoelaces. 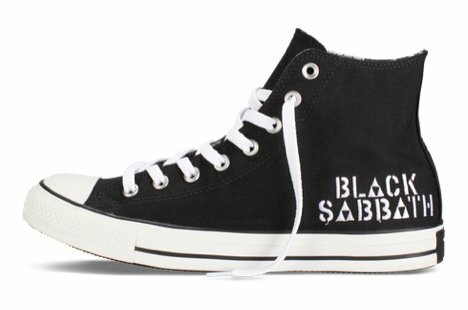 79 Black Sabbath High Top Chucks Inside patch and sole views of tan and black print Black Sabbath high tops with black retro shoelaces. 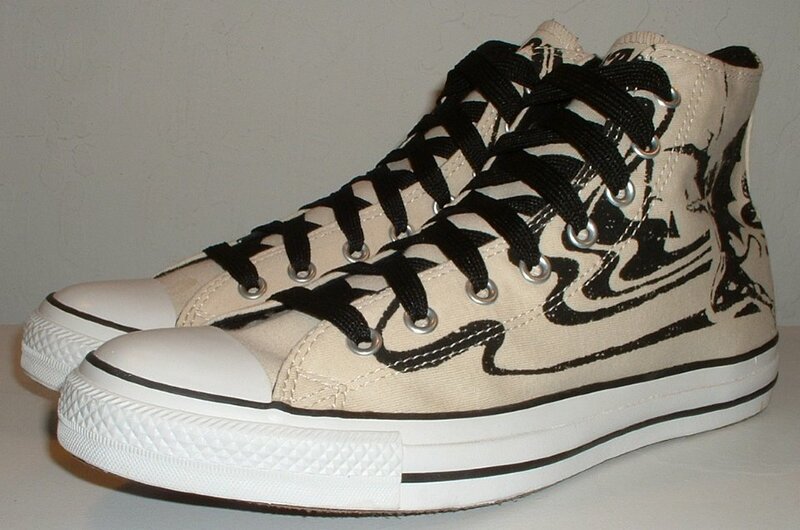 80 Black Sabbath High Top Chucks Wearing tan and black print Black Sabbath high tops with black retro shoelaces, front view 1. 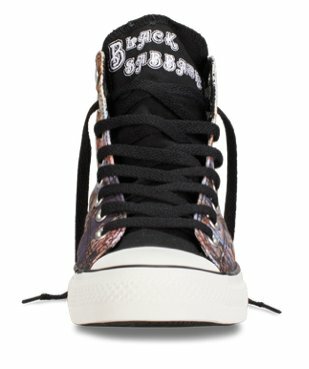 81 Black Sabbath High Top Chucks Wearing tan and black print Black Sabbath high tops with black retro shoelaces, front view 2. 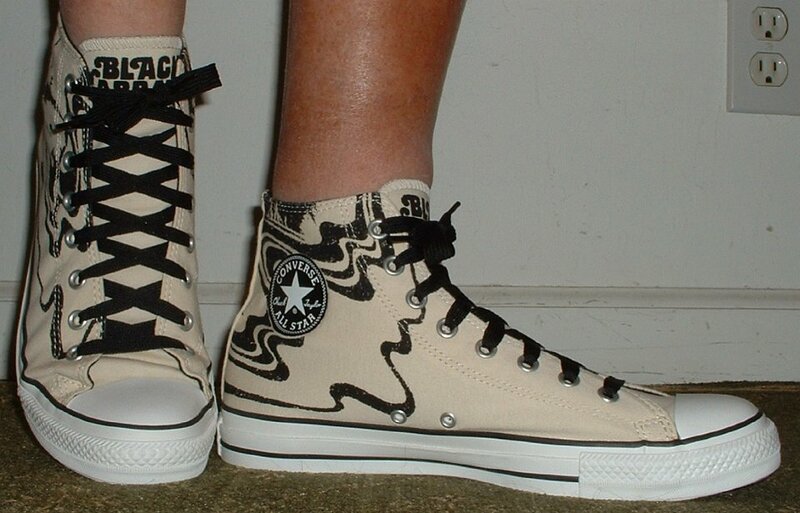 82 Black Sabbath High Top Chucks Wearing tan and black print Black Sabbath high tops with black retro shoelaces, front view 3. 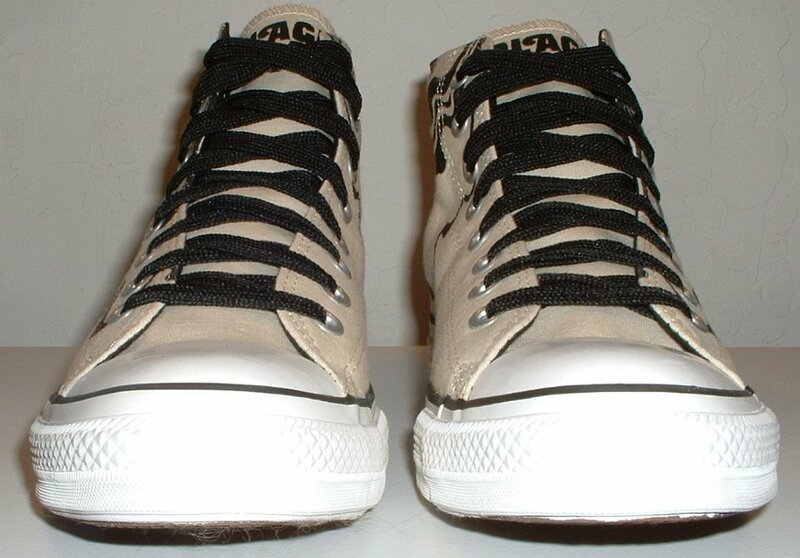 83 Black Sabbath High Top Chucks Wearing tan and black print Black Sabbath high tops with black retro shoelaces, right side view 1. 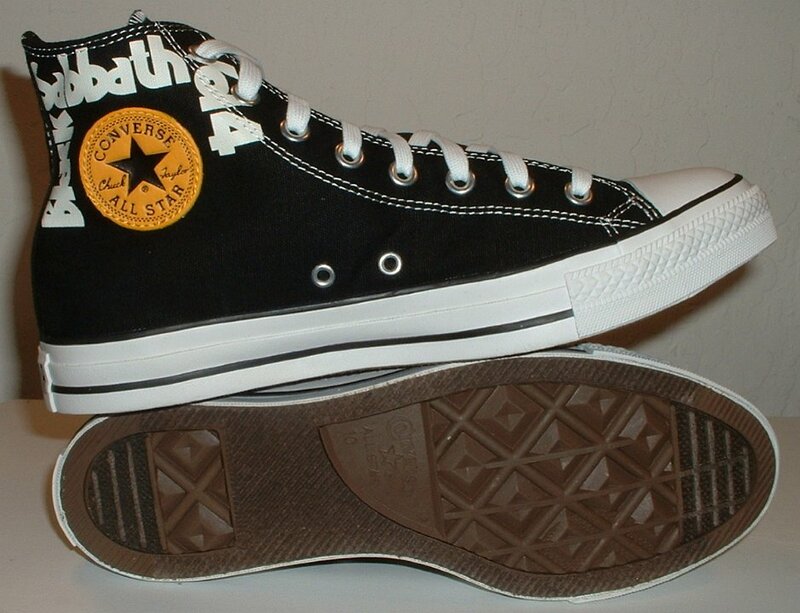 84 Black Sabbath High Top Chucks Wearing tan and black print Black Sabbath high tops with black retro shoelaces, right side view 2. 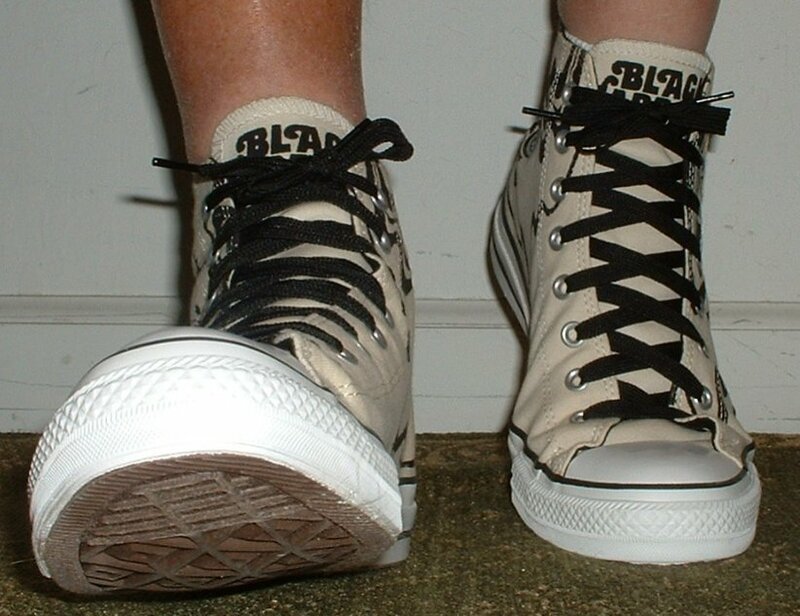 85 Black Sabbath High Top Chucks Wearing tan and black print Black Sabbath high tops with black retro shoelaces, rear view 1. 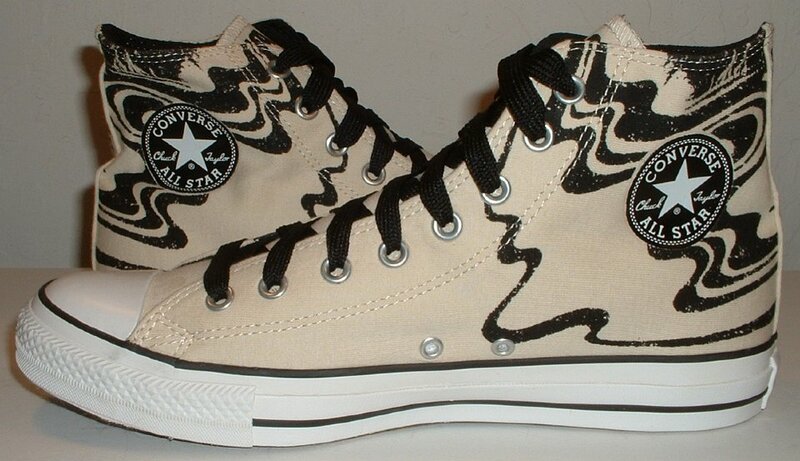 86 Black Sabbath High Top Chucks Wearing tan and black print Black Sabbath high tops with black retro shoelaces, rear view 2. 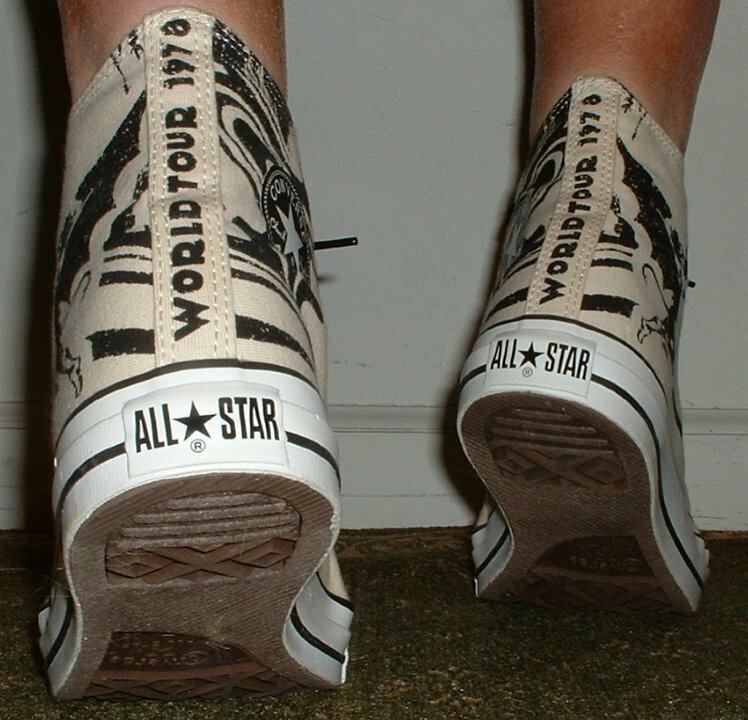 87 Black Sabbath High Top Chucks Wearing tan and black print Black Sabbath high tops with black retro shoelaces, rear view 3. 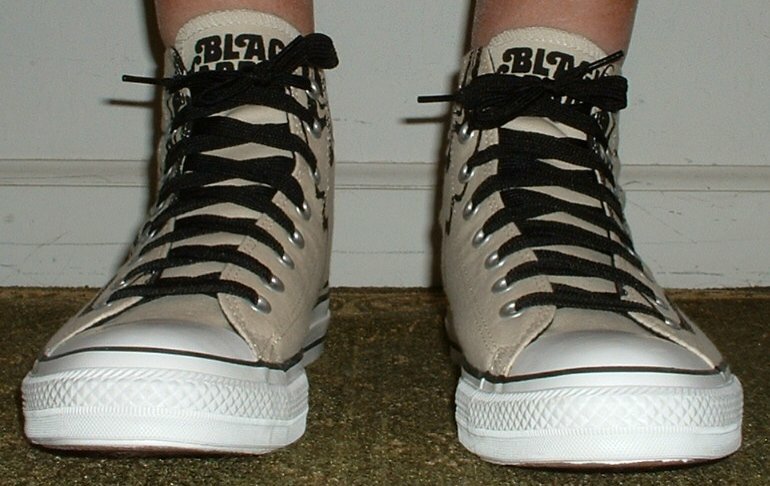 88 Black Sabbath High Top Chucks Wearing tan and black print Black Sabbath high tops with black retro shoelaces, left side view 1. 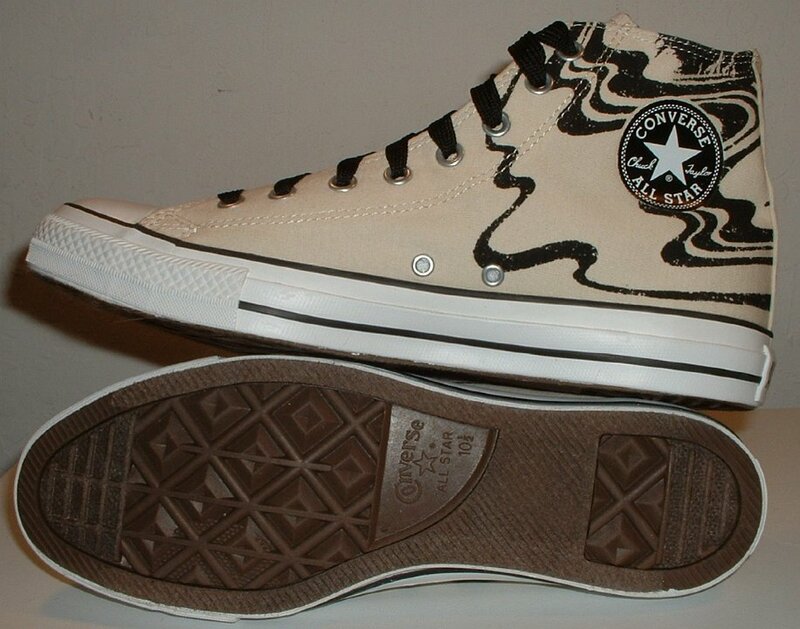 89 Black Sabbath High Top Chucks Wearing tan and black print Black Sabbath high tops with black retro shoelaces, left side view 2. 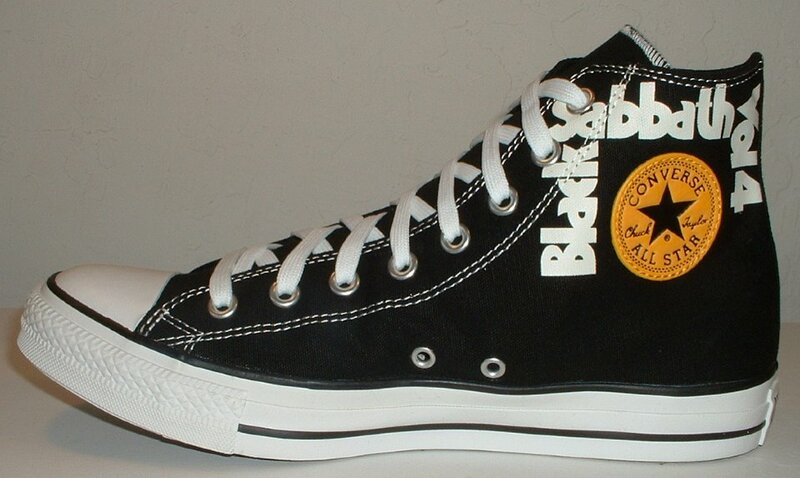 As a part of its one hundredth anniversary campaign, Converse issued several models of high top chucks in tribute to the band Black Sabbath. Along with each pair are special tags that describe them as a rock and roll original. 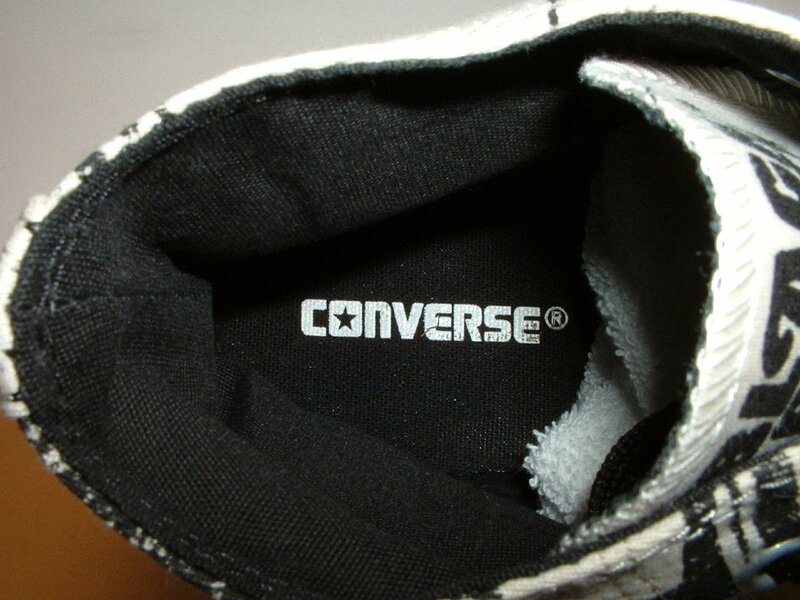 One tag reads: "In 1908, Converse was born. 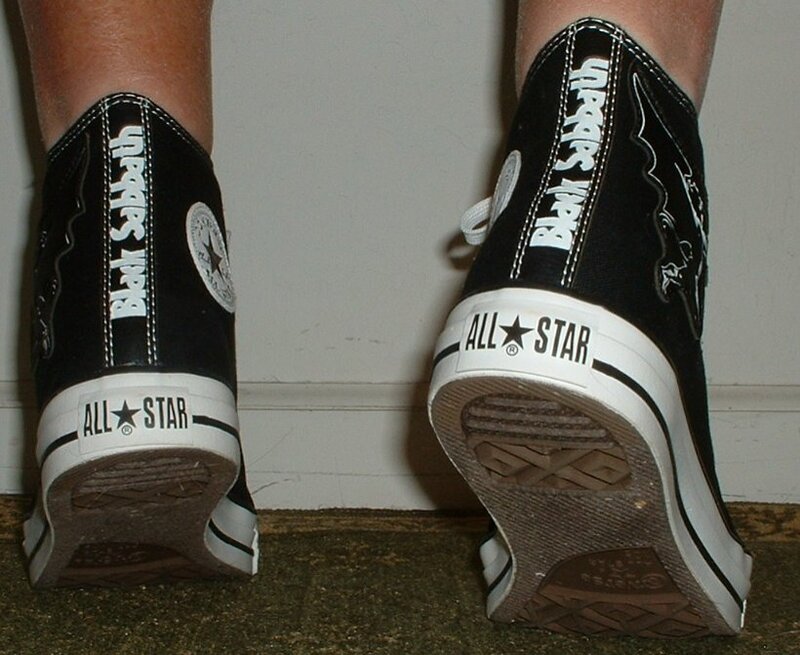 Decades later, at the dawn of rock and roll, rebels, originals, ipseters and hippies discovered sneakers as accessible and affordable symbols of everything rock and roll stood for. 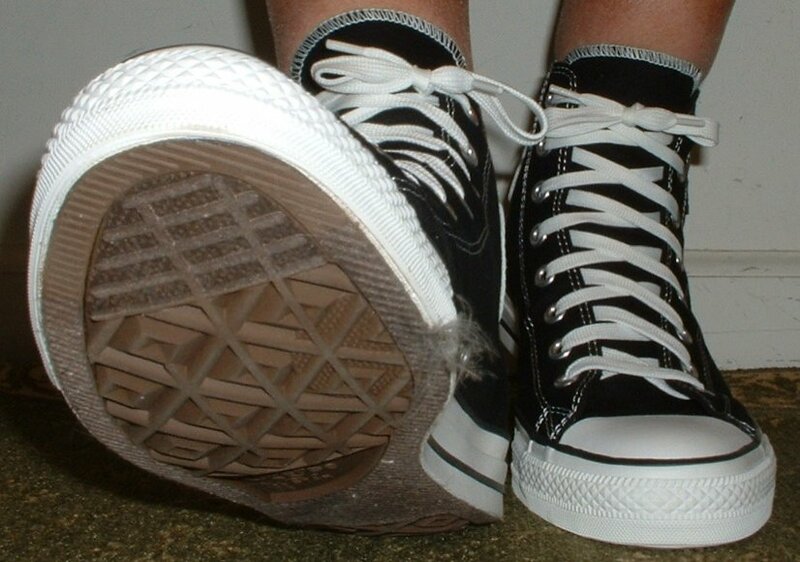 Converse sneakers have alwasy been perfect for trips long, strange and loud." A second tag talks about the band Black Sabbath. "This legendary group from Birmingham, England pioneered and defined Heavy Metal as a new musical genre. Their hard rock is dark and powerful, the first to mix the symbology of thunderstorms and church bells with epic power riffs and mesmerizing lyrics. The influence of their unforgettable legacy can be heard throughout the world in every modern Metal band." 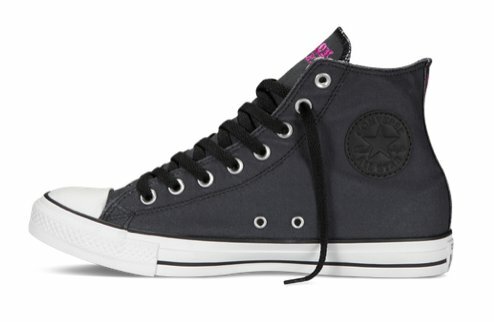 In 2014, Converse issued a second set of Black Sabbath high tops.